Tenants should be able to come up with list of ‘top 5’ properties they wish to tour. 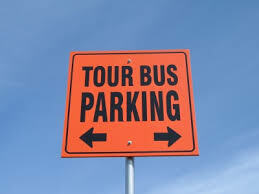 If you wish to tour more than 5 properties, then you break the tour into separate days. I have found that once tours drag on too long, tenants stop taking good notes and begin to lose focus. On occasion, the leasing broker’s schedule cannot adjust to the tenant’s, and a tenant will tour a property without the leasing broker. This is usually a mistake. Leasing brokers tend to be some of the most knowledgeable people about a property and they can answer all of a tenant’s questions. For more on relocating your office, click How to Find the Right Office Location in 10 Steps. This content has moved to a new home! For my full article, please go to my new website, www.goldengroupcre.com. You can find this full article linked HERE. Thanks for reading!